Future wireless communication would accommodate massive number of devices, as represented by Internet-of-Things (IoT). In order to realize efficient data transmission of large number of devices, designing the transmission protocol of devices is crucial. While conventional grant-based access schemes (e.g. time division multiple access (TDMA)) can achieve highly-efficient transmission via resource allocation for devices, such allocation causes a large overhead in the presence of massive number of users, which results in the degradation of the throughput performance. To this end, we have proposed an efficient random access protocol, namely frameless ALOHA with multiple base station cooperation. 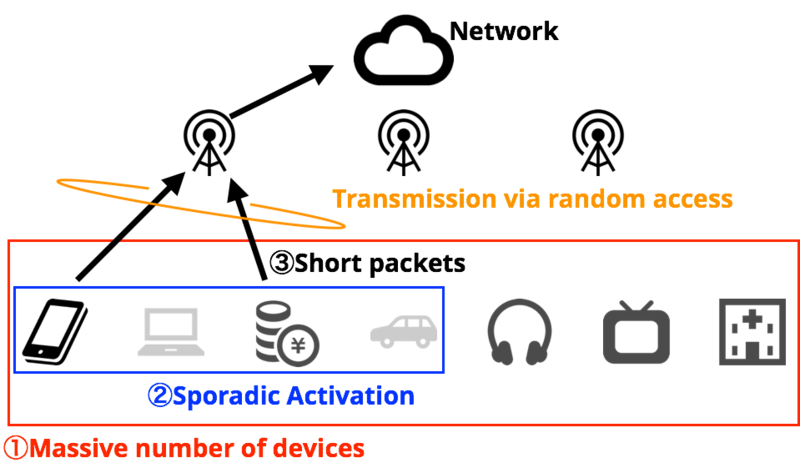 Multiple base stations are exploited to cooperatively retrieve transmitted packets, while devices transmit their packets using transmission probabilities. We have theoretically optimized transmission probabilities to maximize the achievable throughput. Upon the optimization, our proposed scheme achieves remarkable throughput performance. While frameless ALOHA with multiple base station cooperation can start the packet retrieval process only from collision-free time slots, ZigZag decoding has been proposed as a technique to retrieve two colliding packets. We have then proposed ZigZag decodable frameless ALOHA, where frameless ALOHA protocol is modified so as to fully exploit ZigZag decoding. By dynamically increasing the transmission probability, ZigZag decodable frameless ALOHA enhances the throughput performance of the original frameless ALOHA. To emancipate sensors from the limit of batteries, we proposed new MAC protocol named energy-neutral receiver-initiated MAC (ENRI-MAC). 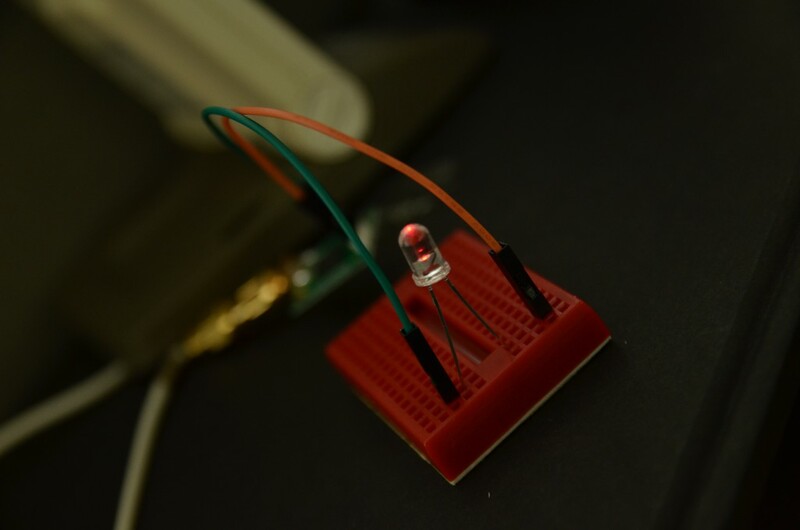 Our proposed protocol enables every sensor to autonomously decide its own intermittent interval based on their available energy and the number of neighboring sensors. Furthermore, we implemented our protocol using Lazurite 920J which is an off-the-shelf Arduino-compatible board and showed that our sensor network could operate very well only with unstable energy-harvesting power supplies. Typical wireless channels suffer from multipath fading and shadowing which significantly reduce communication capacity for a given average transmission power and hinder reliable transmission. Although an effective option is using multiple antennas to obtain spatial diversity gain, it is practically difficult to equip multiple antennas in some applications such as sensor networks because of the size, complexity, and cost. In order to overcome this issue, another concept has been proposed in the literature; when the source cannot reliably communicate with the destination, other available nodes can temporarily work as relays in order to support the communication by expending their own energies regularly supplied by pre-charged batteries, which is called cooperative diversity and allows nodes to enjoy spatial diversity gain without equipping additional antennas. Cooperative diversity inherently consumes the battery of users to support some users having with small channel capacities, which may results in shorter network life since more nodes drain their batteries at the same time. A remedy for this crucial battery issue is the use of energy harvesting. 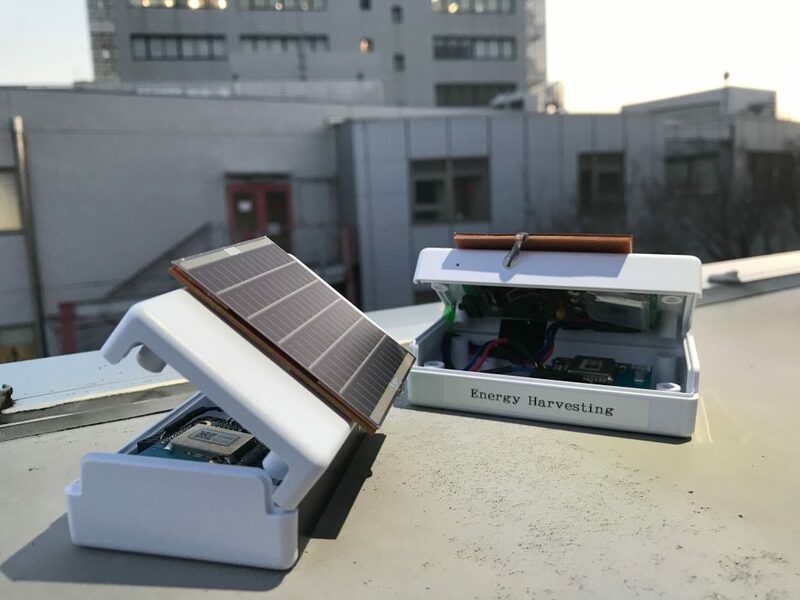 Energy harvesting technologies enable devices to harness energy from ambient sources such as solar, vibration, themoelectric effects, and so on. Since this might be an ultimate solution of the crucial energy constraint, it has gained much attention from researchers. Especially, radio frequency (RF) energy harvesting does not depend on availability of ambient energy sources where ambient RF radiation is captured by the receiver antennas and converted into a direct current (DC) voltage through appropriate circuits such as rectennas. Therefore, this RF energy transfer is considered as one of the most attractive candidate technologies to realize self-sustaining networks. In our laboratory, we investigate the cooperative transmissions with RF energy harvesting and published lots of papers. It is noteworthy that we proposed a novel cooperative diversity technique based on dynamic decode-and-forward cooperation with RF energy harvesting named dynamic harvest-and-forward (DHF) cooperation. This cooperation allows us to obtain diversity gain with consuming neither extra energy nor extra bandwidth by exploiting the relay’s proximity advantage over the destination.